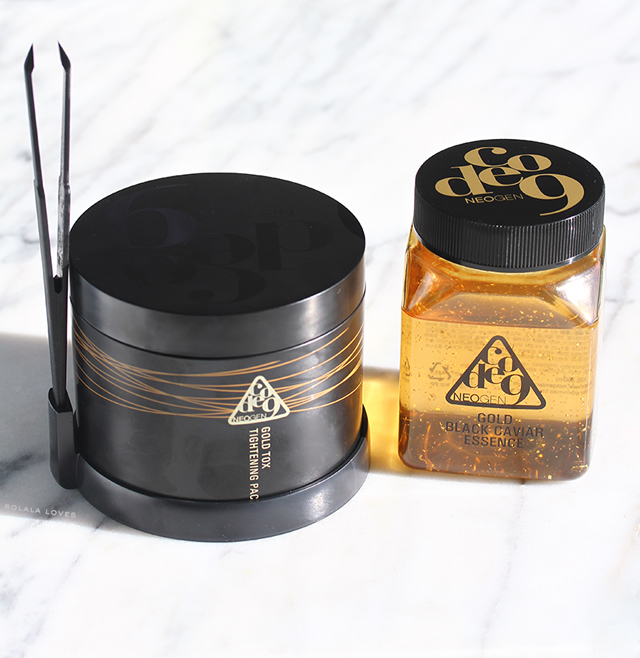 I got this NEOGEN CODE 9 Gold Black Caviar Essence & Gold Tox Tightening Pack in a special Memebox box deal last year. This was the product that prompted my purchase but it was also an extremely good deal since the box was like $50 and included other products and this alone is $48. It is essentially a two-in-one essence-exfoliator combo meant to simplify your skincare routine. It works by removing impurities and dead skin to prep the your face for some serious pampering. It is called Neogen 9 because of it's 9 in 1 functions acting as a peel, pack, toner, emulsion, essence, cream, massage, brightener and detox. Neogen which also goes by Neogen Lab and Neogen Dermalogy is a Korean beauty brand at the forefront of groundbreaking innovations in natural skin care. The foundation of the Neogen brand is built on six core principals of bio-technology. They utilize innovative clinical techniques and top-quality ingredients to create advanced, high-performance, gentle and effective skincare formulas with maximized benefits even for sensitive skin types. 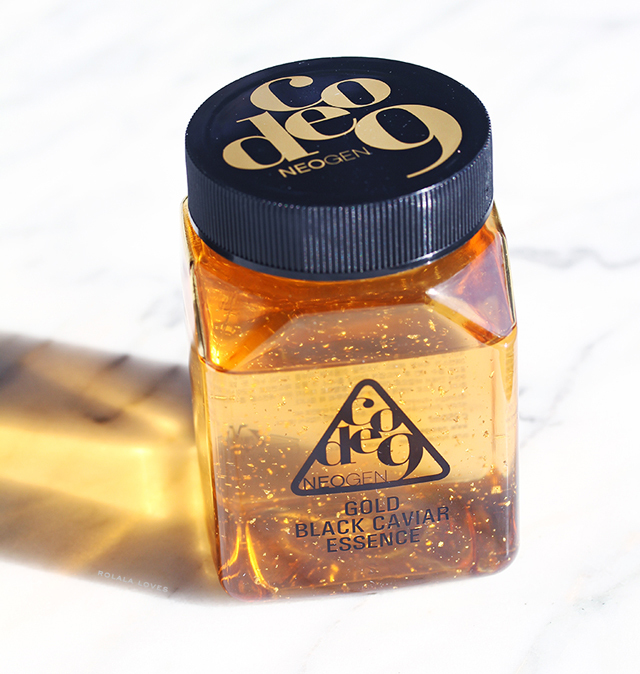 Gold and Caviar, both synonymous with luxury are the star ingredients of Neogen Code 9's highly concentrated Gold Black Caviar Essence which is formulated with a roster of skin boosting natural ingredients. The pads manually exfoliate and work the essence into the skin. The naturally formulated essence works to plump up the skin while hydrating and brightening, for a glowing and youthful complexion. The packaging of this kit is designed for efficacy. By keeping the essence and pads separate until ready to use, it minimizes the oxidation process of the essential ingredients allowing them to stay fresh and maximize their benefits. Plastic tweezers are included for hygienic usage and the tub has a slot for storage in between usages. The patented Gold Thread Lifting pads are constructed using a triple layer structure. The first layer is a 100% cotton micro-gold threaded mesh made designed to remove dirt and dead skin cells. The second layer is a cushion pad in the center for softness and absorption. The third layer is a quilted cotton pad that delivers the essence onto the skin. 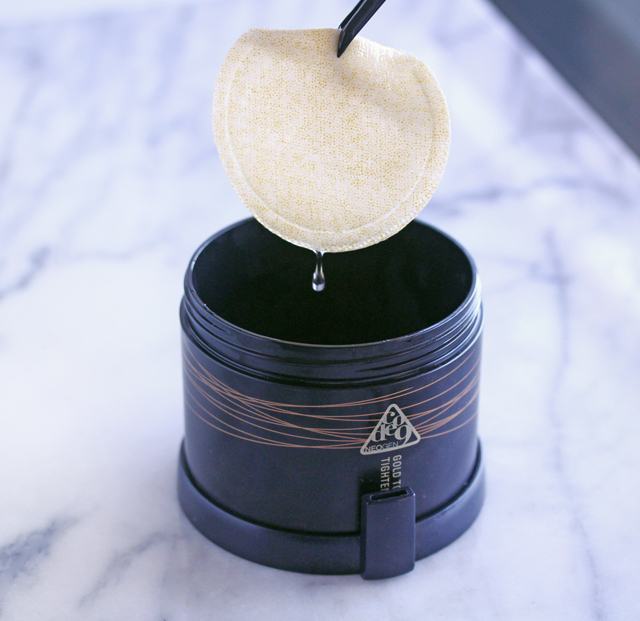 When you're ready to use, just pour the Gold Black Caviar Essence into the container with the pads until completely saturated. Store in refrigerator for up to 9 hours prior to using. I just kept my container in the refrigerator while I was using these. After cleansing and toning in the evening, use the provided tweezers to remove a single pad from the container. Slip fingers into cotton pad, and start with gold mesh side to gently swipe over the face and exfoliate skin. Flip the pad to the quilted side, and gently swipe over the face, gently pressing essence into the skin, for more thorough absorption. Follow with the remaining steps of your skin care routine. They provide a generous amount of essence so the pads are fully soaked in the container. If you look closely you can see small visible flecks of gold. The essence has a light citrus scent which I actually find quite pleasant and refreshing. Also refreshing is when you put the pad to your skin since it is stored in my refrigerator. I use each pad side for about a minute and half. The exfoliating pad feels very mild and the whole process is quite relaxing. I usually just let the essence dry and then pat on some serum and moisturizer and I'm done with my evening routine. I try to use them for 3 nights in succession to build up the benefits and I always wake up with extra soft and toned skin the next morning. I've always been a fan of multitasking products and I really like how this one combines exfoliation and essence which are two fundamental steps in my skincare routine. And I can appreciate the visible effects of it on my skin and how much of a timesaver it is. This is nice substitute for sheet masks since it's less time consuming but yields similar results. There is another version - Lemon Green Caviar Essence & Tox Tightening Pack that I also want to try. NEOGEN CODE 9 Gold Black Caviar Essence & Gold Tox Tightening Pack (250ml/8.25fl.oz essence & 25 pads) retails for $48 and can be purchased from Soko Glam, Amazon or direct from Neogen. What do you think of this product? Would you try it? While I live the concept, I don't really get gold as an ingredient. Gold is chemically inert and not absorbed into the skin, so I don't see how it can be beneficial? If anything like gold would go into the skin (there is a disease where copper does that), it would lead to inflammation. So why include it? This product got my attention will love to try it. This Neogen pack sounds really something I should try, but really, I've only heard great things about this line so I guess I shouldn't be surprised:) I like the fact that it's a 2-in-1,works great and that they included tweezers for hygienic usage. 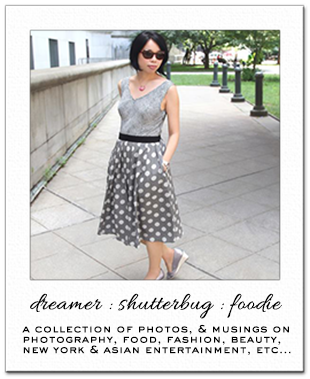 Thanks for the heads up, Rowena:) You always steer us to fab products! Wow, I need to try this product NOW! This sounds like a prodcuts I would like to try! Thanks for the review Rowena! What a steal! This sounds like something I would love to try and it seems to have good ingredients! I use a skin care product with gold flecks in it and I love it so far. It's really doing a nice job on my face. The idea of caviar essence sounds pretty wonderful. Wow, what an interesting product! I really like that you can store it in the fridge...it sounds really refreshing! This product seems very effective and practical! The pads themselves seem very easy to use and I like that they are stored hygienically. I'm a fan of multi-practical products....and 9 features is most impressive when it comes to beauty products. I'm glad to hear you had good experiences ans results using Noegen code 9. It seems like a great product and the ingredients look promising.... Now I remember that one blogger sent me some testers with a serum with caviar and gold leaves...and my skin liked it a lot. Wow, I have to say this looks uber luxe, and sounds like it does a good job at a decent price point. I will have to consider when I run out of what I am using. Oh wow it's impressive that it gives you 9 benefits! :) The gold is a fun touch too, I haven't seen that before! :) I like the idea of only using a few pads at a time as well - sometimes my makeup remover wipes start to dry out before I finish the packet as I don't use makeup all that often! Oh Rowena, you get me with the products like no one else!! I've got to get some and try them out!! I would definitely give this a try. I love that it has a multitude of benefits. I'm currently testing some resurfacing peels, but nothing like this. LOL But this seems to definitely replenish the skin. This certainly sounds very luxurious, I don't think I've ever tried anything with such luxe ingredients before. Sounds luxurious and the price is nice!